We are proud to offer you the original Lorenzo joysticks. You may remember these indestructable sticks from the Royal Video arcade cabinets from the 80s. This is a stiff, reliable stick that will last a lifetime. The stick is set for 8-way control, but this can easily be changed to 4-way using the small teflon plate that is supplied with each stick. We sell two versions of the Lorenzo stick. One for wooden cabinets and one for metal joystick panels. Please let us know which stick you require, when placing an order. Note: These are brand new sticks! 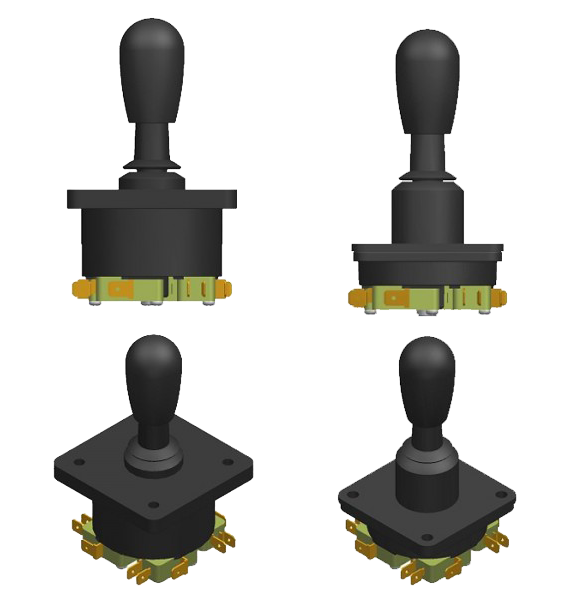 Please contact us for more information and ordering a Lorenzo joystick.